It's like a surprise party delivered in a bouquet of birthday blossoms! The surprise is the bright ribbons that line the inside of the acrylic vase â€“ behind an invisible panel. The bouquet, well, that's simply a beautiful way to wish someone the best on their birthday. 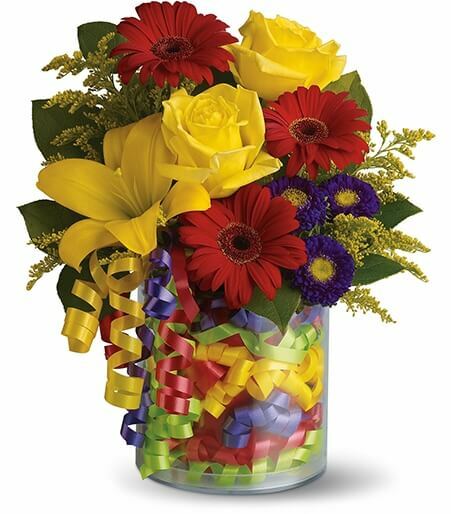 Yellow roses and asiatic lilies are arranged with red gerberas and miniature carnations, purple matsumoto asters and more in a genius acrylic vase.